RTÉ is to increase coverage of climate change in response to growing audience demand, according to its director general, Dee Forbes. The expanded content produced by the national broadcaster will go beyond news and current affairs, she told the Oireachtas Committee on Climate Action on Wednesday. The public service broadcaster has been criticised repeatedly for its coverage of climate change, notably on flagship programmes such as Prime Time and Morning Ireland, in recent years. In 2017, the Environmental Protection Agency (EPA) suggested Irish broadcast media could be doing more to report on climate issues, while other analysis by academics and environmental groups have also highlighted the issue. Ms Forbes said coverage of climate change and environmental issues was regularly reflected in news and current-affairs coverage. This was also evident across a wide range of programmes including Eco Eye, Ear to the Ground and through reporting by environment correspondent George Lee. The subject was also being “well represented in various political debate programmes such as Drivetime, Today with Sean O’Rourke, Late Debate, or Saturday with Cormac Ó hEadhra”. “A cursory review of coverage over the past six months on this issue demonstrates that RTÉ is making genuine efforts to engage with this subject across a diverse range of output and from a wide range of perspectives,” she added. 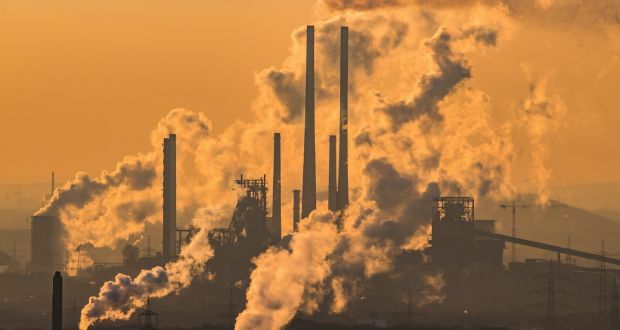 Given growing levels of public interest and concern around this issue, the topic of climate change “will be a thematic priority in our news and current affairs coverage” this year, Ms Forbes said. The topic was complex, she noted, and there was work to be done in communicating the science of global warming. There was also a need to outline to audiences what they could do to mitigate climate change effects.